Dandruff can be caused by a number of different factors. It’s often easy to get it confused with general ‘flaking’ that can happen from dry skin. Oftentimes, these heavy white flakes occur because of certain hair products, skin conditions, or even an overgrowth of yeast or fungi. In these cases, a solution like Nizoral A-D Anti-Dandruff Shampoo may be needed to fix the problem. If you have an underlying skin condition that affects the scalp, identifying it correctly and treating it is key. It’s important to realize that dry scalp is different to dandruff, for example. If it’s a fungal infection causing dandruff, you need to use a treatment that contains antifungal ingredients. Nizoral is formulated to stop the growth of yeast and fungus. 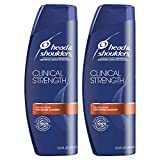 This specific shampoo is typically used for severe cases of dandruff. Because there are so many anti-dandruff shampoos on the market, it’s important to know which one will fit your needs specifically. So, the first step is determining what’s causing your flaking problem. 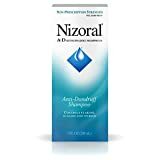 Once you know more about what is behind your itching, flaking, and irritation, you’ll know if a powerful agent like Nizoral A-D is right for you. While it can work on almost any dandruff case, it’s especially effective for people who are suffering the effects of fungus or yeast overgrowth. CLICK HERE to Read the Latest Reviews & Check Prices on Amazon! Will It Cause Any Irritation? Does It Work for Every Type of Hair? 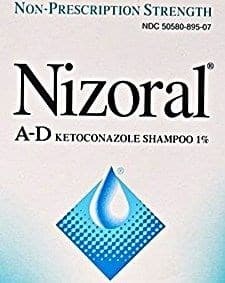 Is Nizoral A-D the Best Dandruff Shampoo? This review will focus on the key features behind Nizoral A-D Anti-Dandruff Shampoo and what makes it work. When you’re suffering from dandruff, a product that gets rid of the symptoms, as well as the underlying problem, is necessary. While this shampoo claims to do just that, is it right for you? We’ll answer that question, as well as several more throughout the reading. We’ll even cover a few strengths and weaknesses, so you can determine what’s most important to you. The key ingredient that makes this shampoo so effective is Ketoconazole (1%). This is a common anti-fungal agent that can either be taken orally or used in topical treatments like this. It kills fungus at the core. It also keeps working in this particular formula by binding to the natural protein of your hair. So, even when you’re not using the shampoo, this medication is working. Ketoconazole will help to reduce the buildup of dead skin cells and flakes that often come as a result of dandruff. Not only will it help to kill the fungus itself, but get rid of your unsightly flaking symptoms as well. To apply correctly, squeeze a generous amount of the shampoo into your hand. Work through your hair and scalp to form a rich lather, then rinse away completely. You should use this shampoo for up to eight weeks in order to see continuous results. In some cases, a doctor might suggest using it for a longer period. But, remember, you don’t need to wash your hair daily to get rid of dandruff. If you find that you’re prone to dandruff, you can continue to use this shampoo as a preventative product, as needed. Once dandruff has cleared up, you don’t need to use it several times a week. But, if you start to notice minor flaking, you can use it to clear things up quickly. The main goal of the Nizoral shampoo is to fight back against the yeast and fungus causing dandruff. Fungal infections of any kind can be difficult to wipe out completely. It takes consistent use of an antifungal product, so never stop the treatment early. It may take more than one bottle to get rid of the problem. Itching can be one of the biggest problems associated with dandruff. An itchy scalp can lead to even bigger problems. You can scar the skin, which can prohibit healthy hair growth. Additionally, scratching too much could cause the scalp to bleed. Not only is this painful, but can lead to potential infections. Getting rid of the desire to itch is important in a dandruff treatment. Dandruff can be annoying and be embarrassing no matter the degree of severity. However, this shampoo is about as close as you can get to a prescription-strength treatment without having to visit a doctor. It has been proven effective in most cases thanks to its specially-formulated ingredients. Because Nizoral isn’t an all-natural formula, there is always a slight risk of potential side effects. Some people are more sensitive to chemical ingredients than others. Though these side effects are rare, the most common are mild skin irritation and redness. Stop using immediately if a rash appears. Here’s some information on things that cause harm to the hair and scalp. Even though it is a strong formula, your risk of irritation is lowered because you don’t have to use it each day. It gives your skin a chance to adjust and heal while the medication continues to work. You shouldn’t use this product if you have broken skin on the scalp (or any cuts). It’s also important to make sure you aren’t allergic to any of the ingredients, as that can cause a reaction. If you are pregnant or breastfeeding, ask a doctor before using it. Almost any hair type can experience dandruff and the itching and flaking associated with it. So, having a product that is equally effective on all hair types is necessary. Thankfully, Nizoral A-D is safe to use no matter what your hair type may be. 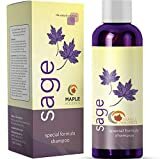 Even though it uses a potent and powerful formula, this shampoo is gentle enough for color-treated hair, chemically-processed hair, and even gray hair. It won’t strip your hair of any color, and won’t take away any processing that affects your overall style. It won’t make gray hair appear stringy or dry, and is also safe on hair types of all different ethnicities. Even though Nizoral is one of the best anti-dandruff shampoos on the market, it may not be the perfect choice for everyone. The most important thing is being able to get rid of symptoms quickly, and stopping any irritation. Let’s take a closer look at some of the pros and cons associated with this product. The biggest complaint commonly associated with this product is the cost. Again, there are dozens of anti-dandruff shampoos and products available. Most of them are quite a bit cheaper than Nizoral. However, keep in mind that this is one of the strongest formulas available. You can use it for mild cases, but it is specifically designed to work on extreme bouts of dandruff. Plus, extra value is added in the fact that you don’t need to use the shampoo every day. Because the company recommends use only twice a week, a bottle will last much longer than formulas that require daily application. That can help to stretch your dollar further. The other ‘negative’ aspect of the product is that it is specifically designed to help with problems associated with fungus. If you have flaking due to other hair products or dry skin, a different shampoo or treatment product may be required. It’s hard to find an anti-dandruff shampoo that will work better than Nizoral A-D Shampoo. Its potency and effectiveness have led to countless positive reviews. Some people swear that this is the only thing that has truly worked to get rid of their embarrassing dandruff completely. While it may be more expensive than some of its competitors, you don’t have to use as much, and it can get rid of symptoms faster. If you’re someone who seems to be prone to dandruff or fungal outbreaks, it’s a great idea to keep a bottle around at all times. If you’re tired of dealing with the embarrassment and irritation that can come from dandruff, it’s worth it to give Nizoral A-D a try. We hope this review has been able to answer any questions you might have regarding the product and how it works. It’s safe, effective, easy to use, and will provide relief quickly. CLICK HERE to Buy Nizoral Anti-Dandruff Shampoo on Amazon!